Following the publication of high-resolution photos of what has been claimed to be the enclosure and a number of internal components for the next-generation iPhone, Mac Otakara posts a hands-on video of the same parts. The video gives a good idea of how the device would look in the user's hand. The report also mentions an observation of an unknown connection on a cable carrying the device's volume buttons, mute/vibrate switch, and power button, speculating that it could be related to NFC capabilities. On the iPhone 4S, the volume buttons and mute/vibrate switch are located on the same component as the headphone jack and noise canceling microphone, but with the headphone jack moving to the bottom of the device in the next-generation iPhone, Apple has tweaked the component grouping on its flex cable parts. I hope not. That looks hideous! If this is it then I'm getting a 3GS instead. This thing is hideous. going to go on a limb and say. no. What wouldn't surprise me is if this is a prototype build with the new internals and a really hideous body. Seams are pretty hideous. Apple made a big point of removing any seams that it could between the 2G and the 3G. This is a major step backwards if it has seams. I've had each iteration of the iPhone and this will be the first that I will want to cover with a case. The duotone back is hideous. Very apparent that this design is post-Jobs. He would NEVER approve an aesthetic like that. Really? You knew him personally and spoke with him in detail about his design preferences and artistic tendencies did you? I'm sorry to be a bit snarky, but all these "Steve would never have done this" comments are simply ridiculous! This has to be a deliberate leak by Apple. No way this video gets out otherwise. Even though I like the design they're showing here, this has to be a fake or different version leaked by Apple to throw competitors off. Still betting this is all a red herring. Apple is using old prototype parts, molds, enclosures, etc and is "leaking" them out. Tim Cook's stepped up security is misinformation. That seems like some childish logic. This is the next iPhone, regardless if you like the design or not. Please tell me more about how you can predict the future. The soundtrack makes it even more awesome! Yes. Because you knew Steve Jobs personally??? 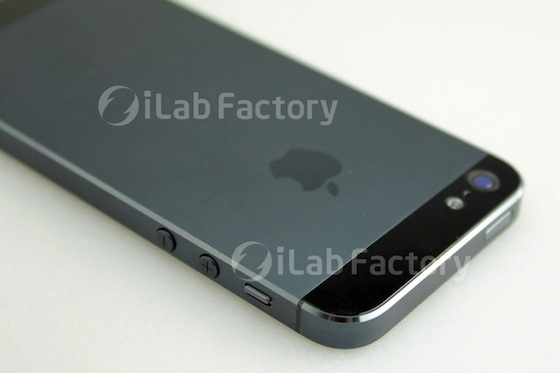 Also... many people said the same thing about the iPhone 4 prototype leak. "OMG! Fake! Apple would never have seams in metal on the side. Look at the screws on the bottom. Apple would never use screws!" Have you forgotten what the original iphone looked like, which you apparently owned.